Tonight in my quiet time I read through James 2. In my journal, I wrote the following simple prayer, specifically as a response to James 2: 14-26, where James makes strong declarations on the reality of Faith and Works in a reborn Christian’s life . Many people struggle praying at all for any period of time, much less out loud or with a group. 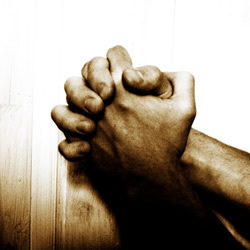 Many people have a variety of struggles with prayer. In our small group / bible study this week, we went through a very engaging intercession exercise. While the exercise below was used during and in our married couple small group, going through it with your spouse would be wonderful. This exercise led our group in about 2 hours of communal prayer. Prayer outside our contexts, cultures, and comforts creates an opportunity to move and focus our hearts on Christ in unique ways. Prayer for our local communities and world opens our minds to opportunities to “go and do”. The Great Commission calls us to actively share our faith and the Gospel with people. The message of the Gospel is amazing, overwhelming, and somewhat offensive to many. Often, people are turned off by the reality of the messages of “sin” and repentance. Although we never need to apologize for Truth, these conversations can be uncomfortable, invite persecution, and cause conflict.